Although technologists, media outlets, and fictions have been teasing it for decades, it’s only these past couple of years that technology has caught up with consumers’ ambition for virtual reality (VR). VR is particularly exciting for gaming and entertainment, but it also the potential to radically transform many other industries and aspects of our lives. 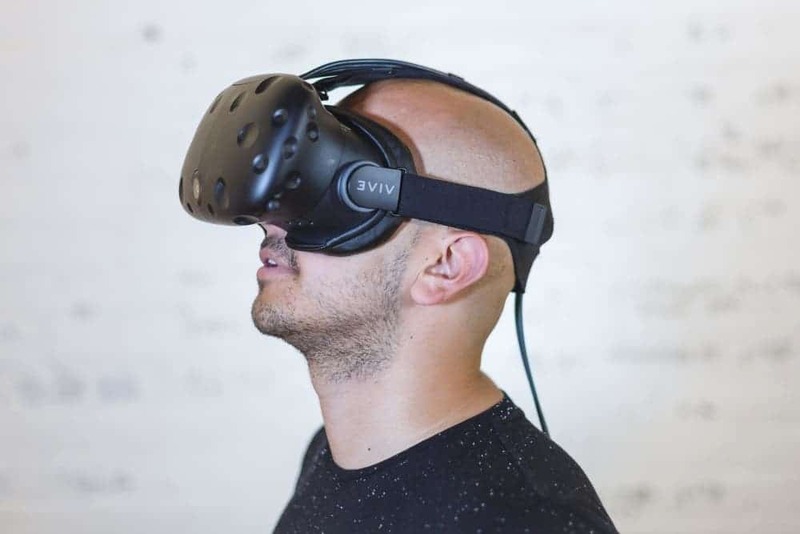 For instance, VR is now helping surgeons with complicated operations by offering cyber training or treating patients with schizophrenia by providing a visual space where they can meet the voices that torment them. Another huge area that’s set to be impacted by VR is aviation, where it has the power to revamp the industry. Here’s how. Some flights can take as much as eight hours, which can be excruciatingly boring. People usually pass the time by reading books, watching a movie, or listening to music. By its very nature, however, VR is a far more immerse form of entertainment which might help make that flight from London to New York just a little more bearable. In-flight VR could also help people who are afraid of flying. Instead of going through a traumatizing experience for hours, passengers can immerse themselves in a calm environment of their choosing, whether it is somewhere in nature or a stadium watching football. And for those on the opposite side of the spectrum, you could even enjoy a view of the air plane’s outside surroundings as if you were a bird high above the clouds. Credit: Bohemia Interactive Simulations (BISim). VR is now offering a new way to train pilots beyond the capabilities of traditional flight simulators. As in a simulator, VR flight simulator’s such as Bohemia Interactive’s BISimulator offer cadets access to flight controls that are analogous to those in a real cockpit. However, the immerse experience means that would-be pilots go through a more realistic training scenario. Another added benefit is that training wouldn’t have to be limited by cumbersome equipment and space. Simulators emulate different kinds of cockpits for different kinds of aircraft training, whereas VR training is a lot more versatile and portable. This alone could save billions across the industry. The French military is already using VR to train their pilots, according to a 2007 study. The advantages of VR training also extends to the cabin crew, which needs to be prepared for all kinds of special situations like emergency landings, passengers in need of medical assistance, and even terrorist hijacking. For instance, a company called Future Visual designed software that allows trainees equipped with a VR headset to inspect airplane models. Everything is exactly as in a real airplane, allowing trainees to learn first hand how emergency doors and other important features of each aircraft work without having to keep an aircraft grounded for training and having to use a lifesize model. Again, there’s a lot of potential for saving costs. Modeling in 3D has been a ubiquitous tool in many engineering disciplines for decades. Pratt & Whitney, an engineering company, has designed virtual reality tools that allow aviation mechanics and engineers to peer inside a jet engine, for instance. There’s even an “exploded view” feature that allows engineers to examine the jet engine’s individual parts. Over the next three to five years, as graphics cards to operate VR become cheaper, higher-end cards will be able to drive very large models of millions of polygons with complex lighting and shading. This is when VR engineering will truly become exciting. There’s also many other unexplored areas of aviation where VR might make an impact. This kind of technology is still in its infancy, so one can only guess what kind of developments and exciting new features will be enabled when VR and aviation fully cross paths. So far, they’re only starting to know each other.